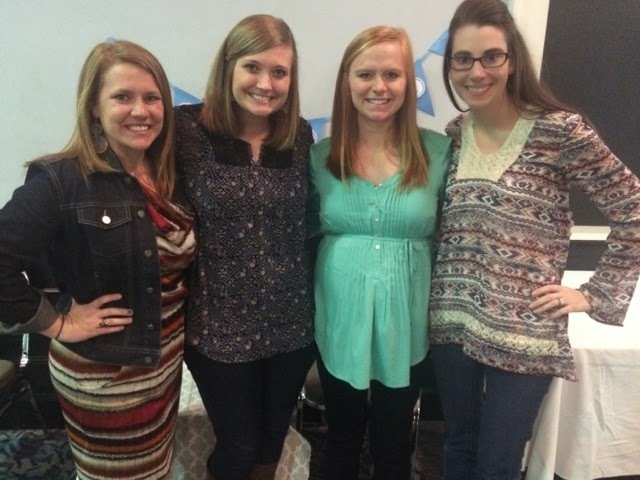 A year ago, our friend group entered into the world of hosting baby showers for our friends. We became the "newly married, kid having" people instead of the "engaged and getting married" people. I must say, I like the stage of life we're in! 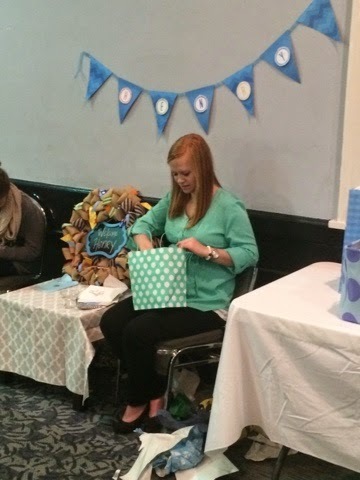 We had Andi's shower for sweet Liam almost a year ago exactly. 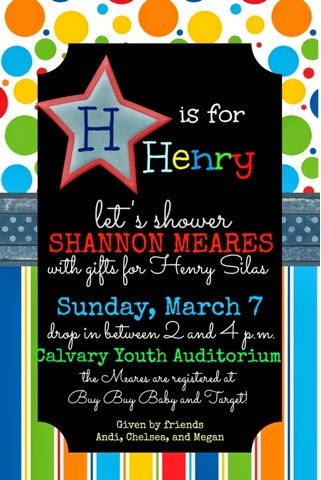 It became time to shower our Shannon with gifts for baby Henry. I was so excited to work with Chelsea and Andi to plan and execute this shower. I designed these invitations (ignore the date/day error 😳) based loosely on Shannon's nursery decor. She is using grey, navy and pops of color. So fun! We went with that as the theme for the shower. Y'all-this shower turned out so cute! I don't know if it was the bright colorful air to the decor or the simplicity, but I loved it. A broad overview of the food table. 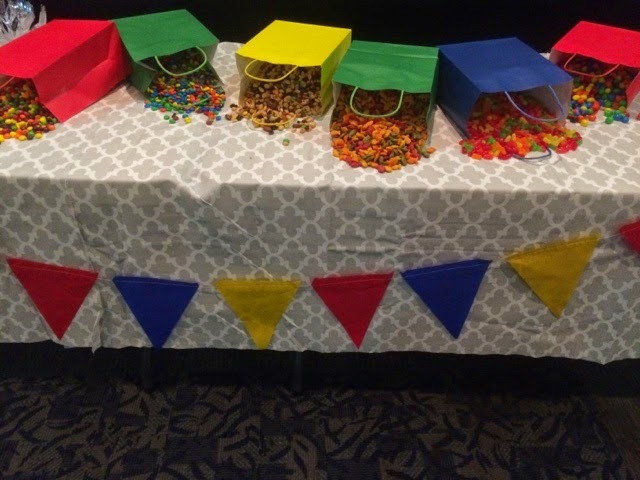 We used brightly colored bags and spilled out colorful foods, such as goldfish, mike-n-Ike's, m & m's, etc. 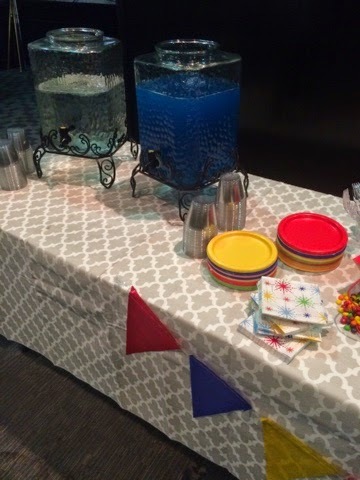 We had blue punch, cupcakes, and cake. 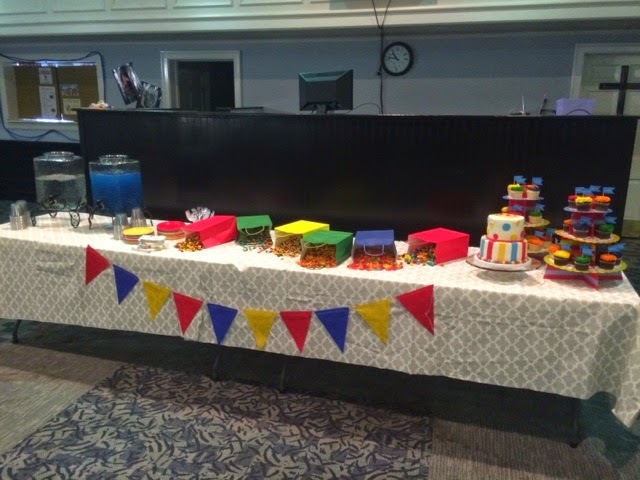 We decorated this area with the food itself spread over a grey fabric cloth and a fun colorful banner. Mrs Pam Jordan made the cutest cake ever for us! She does cakes as sort of a side business, so find her on facebook if you need an awesome cake! 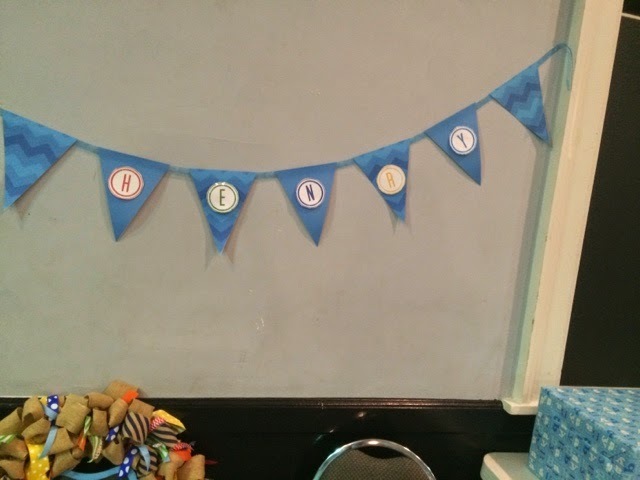 We went super simple with the gift opening area as well. 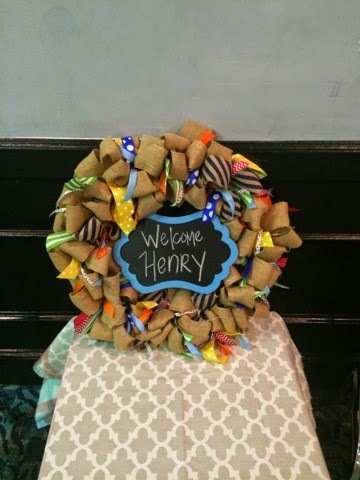 I made a banner with Henry's name on it and mom and I made a fun wreath to welcome Henry. The idea for the chalkboard on the wreath is that Shannon can use it for birthdays and fun events in his life for years to come. I loved this next picture. It shows two of Shannon's roommates and our best bud Andi with their kiddos. It makes me smile to think of our families all hanging out together, raising kids as friends, etc. There's nothing better than Godly community, is there? Check out these awesome gifts! 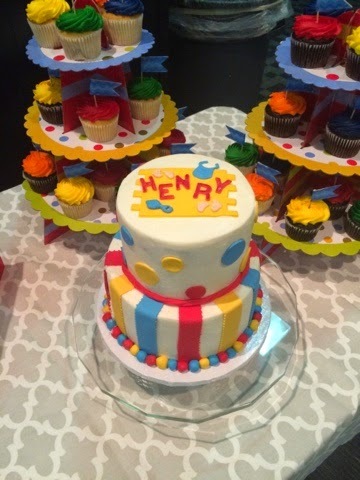 Baby Henry is so loved. 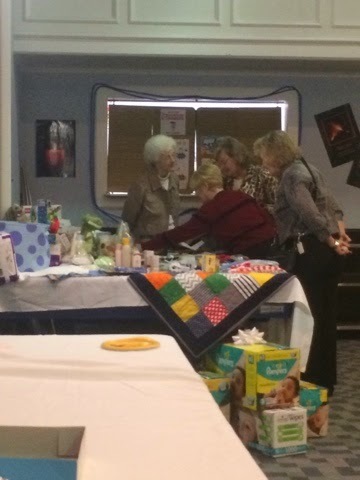 1-I love the sentiment of the sweet older ladies oohing and aahing over Shannon's gifts. 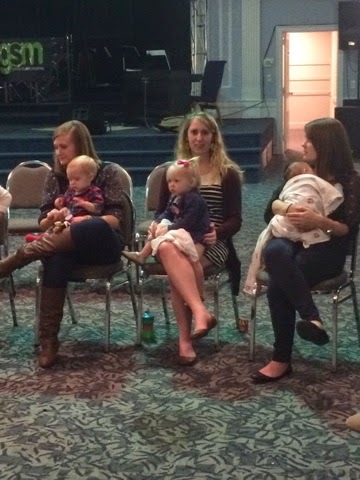 The church is such an awesome place for inter-generational love! 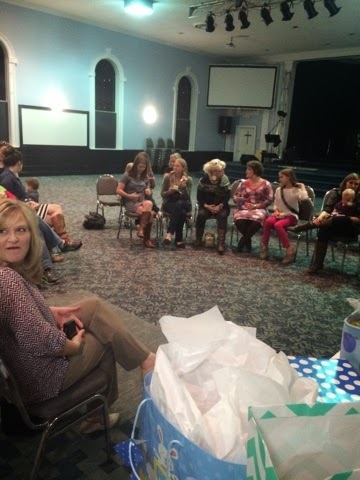 Most of these women were in Shannon and my summer Bible study this past year! What an impact!! 2-do yall see the quilt draped over the gift table? I must brag because Andi made that!!!! Didn't she do a fantastic job! She's helping her mom with Quilt-tees, a t-shirt quilt business and she has learned so much! I'm proud, girl! These girls are my favorites. I couldn't do life without them! 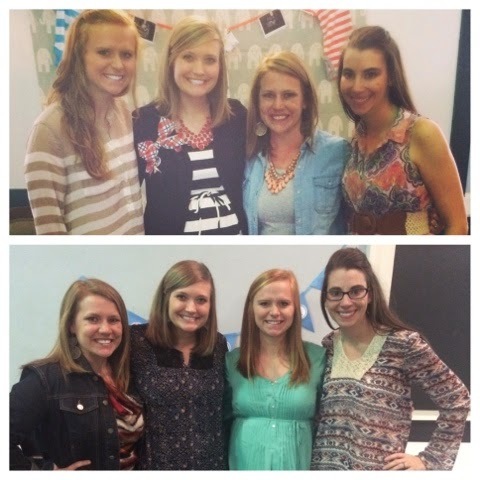 Love them and our growing families!!! ***I love doing invitations, announcements, cards. 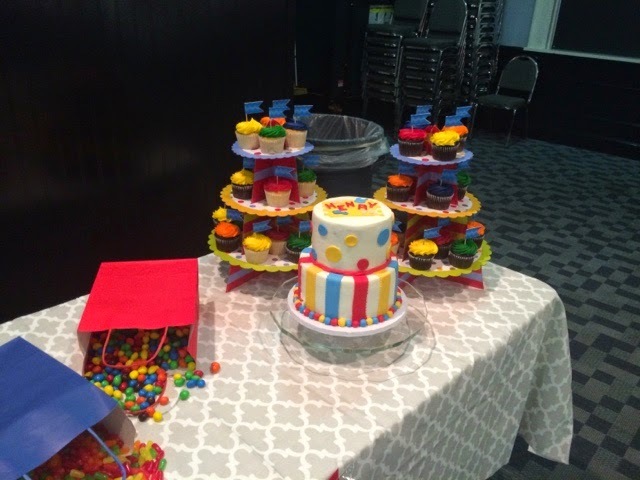 Mrs. Pam is fantastic at her cakes, and Andi and her mom are your go to people for an awesome T-shirt quilt. I love supporting "normal" people pursuing their creative outlets. If you have that opportunity, support them too!